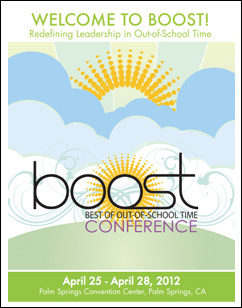 Please click on the 2012 Conference Brochure and download it to see what was offered at the 2011 BOOST Conference in Palm Springs, CA! 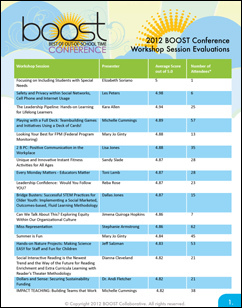 Please click on the 2012 Conference Workshop Evaluation image and download it to see what people said about the workshop sessions! Got Fun? Got Standards? Get Art! 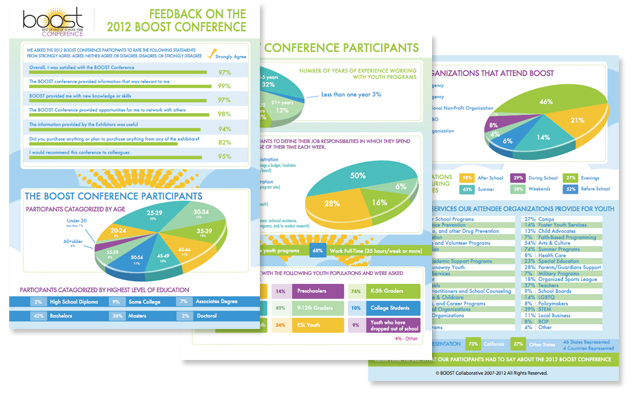 Information Junction: Brain Connections- How Students Learn! Leadership Confidence: Would you Follow YOU? Playing with a Full Deck: Teambuilding Games and Initiatives Using a Deck of Cards!